We always like to take the time to highlight some of the Fellows that have passed through the Foundation’s leadership program and who have gone into the world to make amazing, inspiring things happen. When Maggie Macdonnell was completing her Master’s studies, Canada was beginning to become aware of the many years of historic abuse of its indigenous population. As a non-indigenous person, Maggie wanted to try to become part of the reconciliation. As such, she sought out opportunities to teach in indigenous communities. For the last six years, she has been a teacher in a fly-in Inuit village called Salluit, nestled in the Canadian Arctic. She convinced the region’s school board to create a life-skills program for girls who had dropped out. This girls-only program has increased registration by 500% for at-risk Inuit girl students in the community. Maggie’s teaching is always practical first and foremost, and she works initially to identify the needs of the community she serves. She then gauges what the talents of her pupils are and creates youth-run initiatives to expand and develop these. 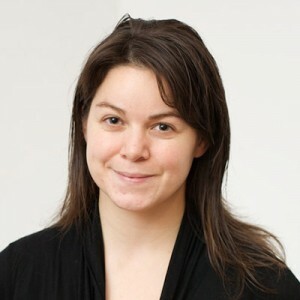 In 2010, she was selected to be a Jeanne Sauvé Fellow at McGill University, and in June 2016, was presented with a personal award by the Governor General of Canada. In 2017, she was awarded the Global Teacher Prize from the Dubai-based Varkey Foundation. 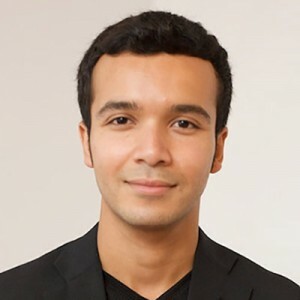 Gabriel Bran Lopez is the Founding President of Youth Fusion Jeunesse, an NGO focusing on experiential learning by implementing innovative pedagogical projects in various fields, including robotics, video game creation, entrepreneurship and fashion design. Gabriel was elected president of the Jeune Chambre de Commerce de Montréal (JCCM) for 2015-16 and currently sits on the board of the J.A. Bombardier Foundation. He is a member of Quebec’s task force on student retention and success, and is the spokesperson for the Quebec Entrepreneurship Contest. Gabriel helped to organize the Generations Pact environmental project in collaboration with Dr. David Suzuki, Dr. Hubert Reeves, Steven Guilbeault, and other renowned personalities. 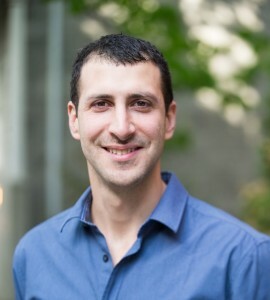 In 2011, Gabriel was the recipient of Ernst & Young’s Social Entrepreneur of the Year Award, and was elected to the Ashoka Canada Fellowship in recognition of his accomplishments. In April 2013, he was named “Personality of the Week” by La Presse/Radio-Canada (CBC) in recognition of his ongoing leadership of Youth Fusion and of Favoriser l’Inspiration et la Reconnaissance des Sciences et de la Technologie (FIRST) annual festival. In November 2013, he was awarded the prestigious Michel-Perron Award for his innovative work in education. Kyle Hill is committed to building new and innovative approaches to solve some of the world’s toughest problems. He tries to balance his analytical approach to life with a focus on human relationships. He believes that education is the fundamental method of social progress. He has a B.Sc. in Physics and Mathematics from Mount Allison University, and a M.Sc. and Ph.D. in medical physics from the University of Oxford, where he studied as a Rhodes Scholar. He is the Co-Founder and Executive Director of Teach For Canada, a non-profit organization that partners with northern First Nations communities to recruit, prepare, and support outstanding teachers. Idowu Ajibade is a Postdoctoral Fellow at the Balsillie School of International Affairs in Waterloo, Ontario. She has a passion for interdisciplinary research on climate change, development, urbanization, gender and human rights. She explores how individuals and societies respond to global environmental change and their different capacities for adaptation and transformation. 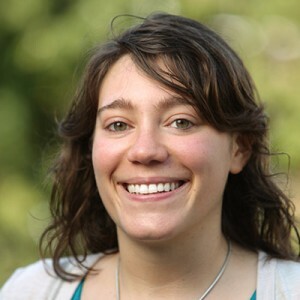 Her research focuses on justice and accountability in climate change adaptation. Idowu holds a PhD in Geography and Environmental Sustainability from Western University, Canada; an MA degree in International Law and Human Rights from the University for Peace, Costa Rica; and a B.A degree in Philosophy from Obafemi Awolowo University, Nigeria. She is a member UPEACE/US Alumni Advocacy Committee to the United Nations. She successfully completed training as a Climate Project presenter with Al Gore in Nashville, Tennessee, and is the founder and lead coordinator of YEANA—an organization dedicated to facilitating community awareness of climate change and engaging youth as active partners in combating climate crises in Africa. 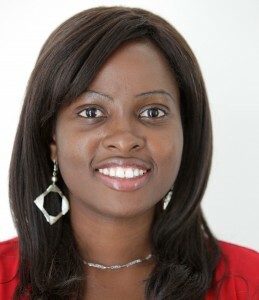 Idowu has authored a number of journal articles and book chapters. She worked as a human rights researcher with different non-governmental organizations, including: the International Council on Human Right Policy (ICHRP) in Geneva; Leonard Cheshire Disability Foundation in Sierra Leone; and Freedom House Human Rights Reporting Project in Nigeria. She also served as a volunteer with various other NGOs such as Human Rights Tools in Geneva, Switzerland. Paul Shore is a video-journalist and social entrepreneur. He is explores new ways video and technology can be used to give voice to the voiceless and stimulate civic engagement at the local level. In the past, Paul was the Canada Bureau Chief for the award- winning independent global news network, Guerrilla News Network, Co-Founder of the Canadian NGO Apathy Is Boring, and has worked as a “youth engagement” consultant and producer for many foundations and corporations over the years. 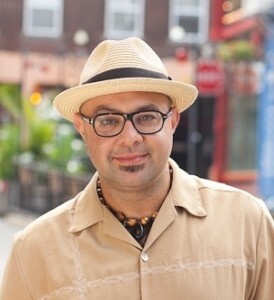 In 2014, he launched a passion project online called Quelque Show, later re-named The Street Speaks, a bilingual speakers’ corner for everyday Montrealers. Paul, along with 2015-17 Sauvé Fellow Sabrina Sassi, is developing a model to use the video as a catalyst for a civic engagement feedback loop between everyday citizens and local politicians and community leaders. He is also the Co-Founder of an early stage start-up called Snappers.tv, a platform and marketplace that facilitates live video streaming on demand. He is committed to helping people figure out their “why”, so that we can all feel happier, safer, and more empowered. Christopher Kutarna graduated with a BA in Philosophy, Politics and Economics from the University of Oxford, England. He also holds an Honours degree in Commerce from Carleton University, Canada. 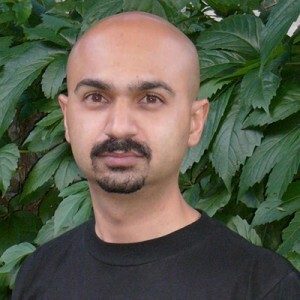 He is an author, public speaker, entrepreneur and researcher. He is a two-time Governor General’s Medalist, a Commonwealth Scholar and a Fellow of the Oxford Martin School with a doctorate in politics from the University of Oxford. He divides his time between Oxford, Beijing and Regina. Chris is the author of the best-selling book Age of Discovery: Navigating the Risks and Rewards of Our New Renaissance (Martin’s Press and Bloomsbury: 2016). His prior works include the best-selling Globality: Competing with Everyone from Everywhere for Everything (2008), for which Chris was the lead China researcher and drafter; and his first novel, Today is Blue (forthcoming). He is a former consultant with the Boston Consulting Group and remains a regular op-ed contributor to one of China’s top-ranked news magazines. Guillaume Lavoie was a Montreal City Councillor. He is particularly interested in accountability measures, mobility, bikenomics, the sharing economy and the role of urban art. Before entering politics, Guillaume Lavoie worked in public diplomacy, public policy and international relations. Having lived and worked abroad and visited more than 30 countries, he has been a consultant for the public, private and associative sector in Canada and overseas. A former lecturer at the National School of Public Administration (Énap), a member of the Raoul-Dandurand Chair and an international observer, Guillaume has been a frequent commentator and analyst in the media on international events and American politics. An innovative social entrepreneur, he is the founder and former executive director of Mission Leadership Québec and co-founder of the Collège néo-classique. Guillaume holds a Masters in international public administration (Énap), a B.A. in industrial relations and certificates in administration and law (Université Laval). 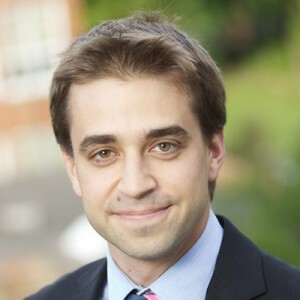 A Public Policy Scholar at the Woodrow Wilson Center in Washington, D.C, Guillaume is also a Fellow of the Forum of federations, Action Canada, the Jeanne-Sauvé Foundation and Next City. Adam Daifallah is a Partner and Cofounder at HATLEY Strategy Advisors, a public affairs firm with offices in Montreal and Quebec City. With more than 15 years of experience in law, journalism and politics, Adam is a skilled communicator who interacts with key decision-makers in Toronto, Montreal, Ottawa, Quebec City and Washington, D.C. Adam is Chairman of the Board of the Canadian Taxpayers Federation, an instructor at McGill University’s North American Studies Program and a fellow of the Montreal Economic Institute. Previously, he sat on the editorial board of the National Post and was Washington correspondent for the The New York Sun. He is co-author of two books on Canadian politics. 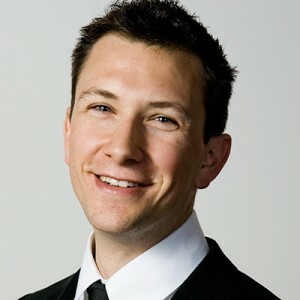 In the voluntary sector, Adam is director of the Schmeelk Canada Foundation, a member of the Advocacy Committee of the Quebec Chapter of the Institute of Corporate Directors, a member of Golf Canada’s Communications Committee and a member of SCOREGolf Magazine’s Top 100 courses in Canada rating panel. 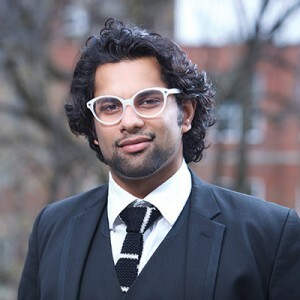 Jeeshan Chowdhury works at the intersection of digital technologies and clinical practice. An MD/PhD and now an entrepreneur, he is excited about role of startups to transform the way doctors work. He holds a M.Sc. in Diagnostic Imaging from Oxford and a B.Sc. in medical sciences from the University of Alberta. He obtained an MD/DPhil from the University of Alberta and the University of Oxford. His doctorate in the Department of Surgery at Oxford focused on the business case for the use of information technology in radiology departments to improve access to diagnostic services. He received his MD and PhD from the University of Alberta and then entered a family medicine residency at the University of Calgary. In 2012, Jeeshan co-founded Hacking Health – an international organization designed to improve health care by bringing together technology creators and health-care professionals to collaborate on realistic, human-centric solutions to frontline problems – it now has chapters around the globe. 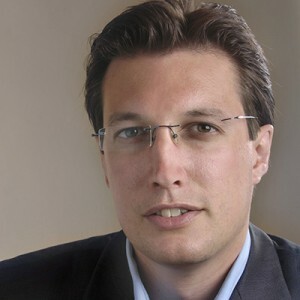 He later launched Listrunnerapp.com, a digital health start- up that provides clinical teams with a point-of-care collaboration tool to manage patient lists and improve care. Gioel Gioacchino is the Executive Director and co-founder of Recrear, a Canadian charity working with a youth-to-youth approach to collect information on young people’s perspectives utilizing participatory research projects. Recrear’s projects have taken Gioel to Colombia, Palestine, the Dominican Republic and Bangladesh. In 2014, Gioel managed a UN-Habitat Youth Fund in partnership with the Caribbean Youth Environment Network (CYEN) to carry out a participatory research project on ‘Cuban Youth Engagement in Climate Change Adaptation Work’. She took part in expert meetings on Youth Engagement at UNESCO in Paris and on Youth Indicators in the post-2015 agenda at the Commonwealth Foundation in London. Gioel is a PhD Candidate at The Institute of Development Studies (IDS) at the University of Sussex, UK. Through a case study of Colombian youth organizations, Gioel’s PhD project explores how different funding models affect organizational culture as well as the quality of social organizations’ internal and external relationships. Gioel holds a BA in International Studies from the University of New Orleans and an MPhil in Development Studies from Cambridge University. Since June 2015, Gioel has worked as a research officer for the Institute of Development Studies (IDS), conducting research on Foresight in Development. IDS is a leading global charity for international development research, teaching and communications. Tomer Avital is an investigative journalist who gave it all up to pursue transparency in the political system. After leading a successful crowd-funded campaign called “100 Days of Transparency”, he now tracks politicians through creative means. In 2016, Tomer, a Schusterman and Sauvé fellow, wasawarded the DIGIT Prize for Excellence in Online Journalism, and was ranked one of 100 most influential people in Israeli media. He raised funds to support the first-ever public lobbyist, authored a suspense novel set inside the Israeli Parliament, and produces comical clips uncovering the political decision- making process. He established The Israeli Fund for Investigative Journalism with fellow journalists, and he promotes social projects, writes poems and teaches Yoga. Dawa Sonam is Bhutan Broadcasting Service’s award- winning broadcaster and anchor and has had the unique opportunity of hosting the Presidential debates for two consecutive parliamentary elections in his country. He has also interviewed many important foreign nationals who have distinguished themselves in different areas of interest. As a Sauvé Fellow, Dawa undertook research on Gross National Happiness and the philosophy of development in Bhutan. 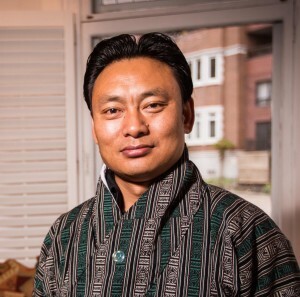 Following his time as a Sauvé Fellow, Dawa was given extensive responsibilities at Bhutan Broadcast Services (BBS) TV for producing three weekly TV talk shows in Dzongkha, the national language, and in English. The shows covered a variety of different and controversial current issues. In 2014, he was elected president of the Journalists Association of Bhutan. Considered to be one of the most reputable journalists in Bhutan, Dawa is held in high regard by people of all walks of life throughout the country. Alia Whitney-Johnson is the founder of Emerge Global, a social enterprise that equips Sri Lankan girls who have survived sexual abuse with the life skills and capital needed to lead healthy, self- sufficient lives. Using jewelry creation as a tool for education, art therapy, and financial empowerment, Emerge has enabled hundreds of young women to launch businesses, finance education, and build homes. Emerge was selected as Boston’s Small Charity of the Year (2010 Classy Awards) and has been featured on the front page of the Boston Globe’s fashion section, in Glamour Magazine, and on Good Morning Sri Lanka. 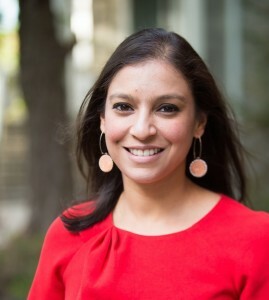 Through her work, Alia has been recognized as one of Glamour Magazine’s Top Ten College Women (2007), a Truman Scholar for Public Service (2007), and one of the world’s leading young social entrepreneurs by the International Youth Foundation (2009). In 2013, she authored a chapter in “Do Good Well,” a #1 Amazon bestseller with reviews from Muhammad Yunus and Nicholas Kristof. 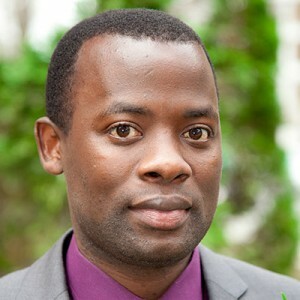 Gerald Bareebe holds a bachelor’s degree in journalism and communication with a major in political science (Makerere University), a master’s degree in international relations and diplomatic studies (Makerere University), and an advanced master’s degree in governance and development (University of Antwerp). He is currently pursuing his PhD degree in Political Science at the University of Toronto in Canada. In 2009, Gerald was recognized as one of the best journalists in Uganda for leading an investigation that resulted in a 14-year jail sentence for a senior military officer who had killed two opposition activists and maimed two others. In 2010, the World Bank recognized him as one of the world’s top 10 young anti-corruption activists and offered him a World Bank fellowship to participate in the formulation of the Global Youth Anti-Corruption Campaign. In his native country, Gerald has covered presidential, parliamentary, and local council elections. His work has been featured in numerous national and international media outlets, including The Voice of America, Al-Jazeera, The Daily Monitor, The East African, and The National Post, the Institute for Media and Global Governance, the World Bank Institute, and the Basel Institute on Governance. 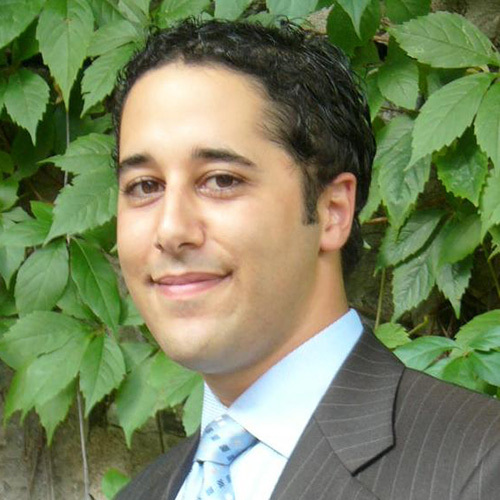 Farouk Jiwa is an Ashoka Fellow as well as an Aga Khan Foundation Scholar and a Sauvé Fellow (at McGill University). He holds a Master’s in Environmental Studies from York University, a Post-Graduate Diploma in Business and Sustainability from the Schulich School of Business, and a BSc (Honours, First Class) in Environmental Biology from Queen’s University. He is the Co-Founder & Director of Farm Shop, a Social Enterprise establishing a micro- franchise agro-dealer network in Kenya to improve last-mile access to agricultural inputs for small-holder rural farmers. Farouk is also the Co-Founder of Honey Care Africa, an innovative and award-winning Fair Trade Social Enterprise supporting rural households across Eastern Africa to earn a supplementary income & increase crop productivity through rural community-based beekeeping. He is an Associate Staff with the Coady International Institute and teaches specialized courses at St. Francis Xavier University in Nova Scotia, the University of Pretoria in South Africa and at the Organization for Women in Self-Employment in Ethiopia. Until recently, was also the Senior Technical Advisor for Economic Development at CARE USA and supported implementation of a number of large market-based development projects across Africa & Asia. 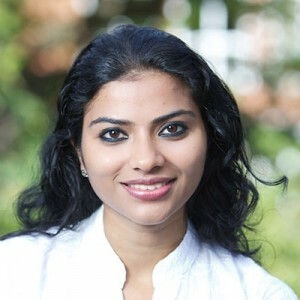 Anupreeta Das holds graduate degrees in journalism and international political economy from Boston University and the London School of Economics respectively. Her undergraduate degree is from Lady Shri Ram College, University of Delhi. She also attended the United World College-USA on a two-year scholarship. Preeta has written extensively on Indian development, society, politics and globalization, including outsourcing and the new wealth of the Indian middle class. She has worked as a general assignment reporter for Outlook, one of India’s most prominent news magazines. Previously, she worked as a staff writer for The Indian Express, a national daily newspaper, and was the youngest reporter in the paper’s history to be promoted to the national news bureau. Today she is a New York-based special writer covering Wall Street and politics. She also writes about Warren Buffett and his company Berkshire Hathaway, as well as billionaires and family-owned business empires. She previously covered mergers and acquisitions, breaking news of some of the biggest deals post-financial crisis. Preeta has reported on technology, media and telecom deals for Reuters. She has written for The Boston Globe and other publications. 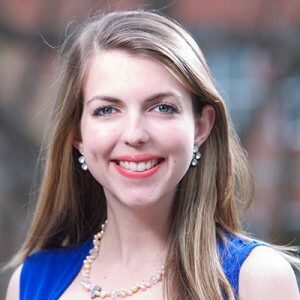 She is the recipient of two Society of Business Editors and Writers breaking news awards and a 2013 Loeb Award finalist. 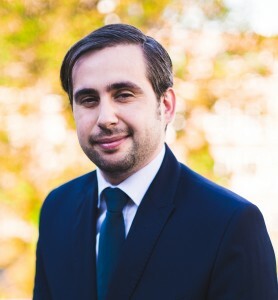 Costin Ciobanu is currently pursuing a PhD in Political Science at McGill University, specializing in Comparative Politics (European Union; Central and Eastern Europe) and International Relations, focusing specifically on election forecasting models. He holds a Professional Master’s in Political and Social Communication from the University Paris 1 Panthéon-Sorbonne, a B.A in Philosophy from the University of Bucharest, and a B.A. in Communication and PR from the National School for Political and Administrative Studies. He has been involved in local, parliamentary, Euro-parliamentary and presidential elections in Romania. He has also served as Communications and Policy Advisor to the President of the Romanian Senate and to the President of the Romanian Social-Democratic Party. His expertise in the public sector has been enhanced by working with the NGO “Institutul pentru Politici Publice” (The Institute for Public Policy) and with the Chancellery of the Romanian Prime Minister. He regularly writes political analyses on the Smart Politics platform. Brijlal Chaudhari is a social entrepreneur dedicated to enhance the standard of living of the marginalized and impoverished communities of rural Nepal. 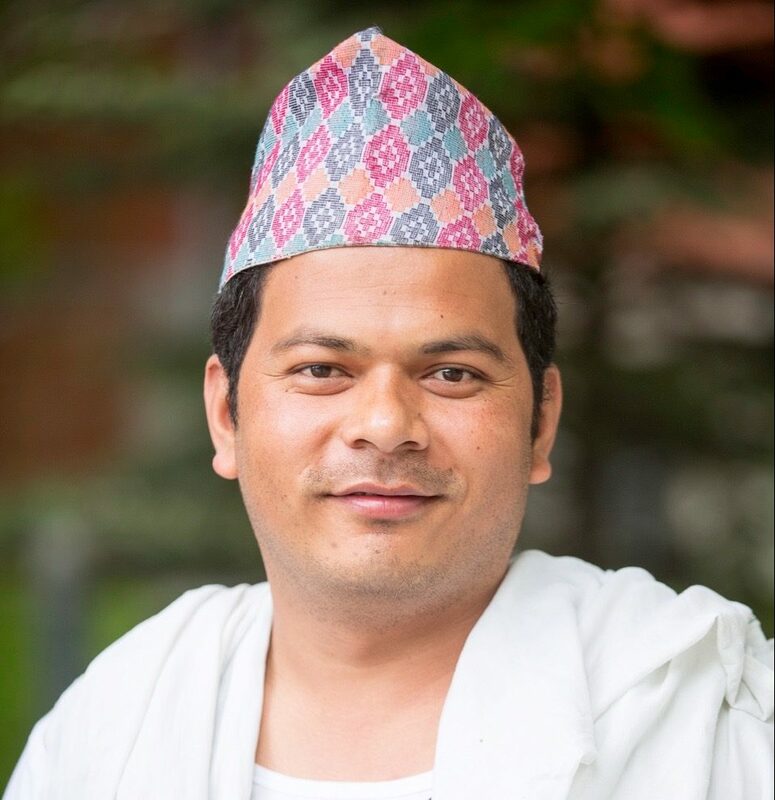 He has five years of experience in running a youth based grassroots NGO called Sano Paila (A Little Step) in southern Nepal. He works as Chief Operation Officer and oversees eight different projects that are focused on providing justice to the marginalized population and integrating them into the life of the nation. Brijlal is also running Paurakhi Saving & Credit Co-operative Society Ltd. and providing access to financing for the rural population. He is aiming to provide asset loans to the farmers in his village and eventually scale up this idea. Currently, he is testing Systemic Rice Intensification (SRI) method on his own land and will expand this idea and encourage farmers to adapt this modern technology that will reduce the input costs and doubles the productivity. Being passionate about educating the marginalized youth populations (especially girls) and provides them with scholarships to attain higher education and building libraries in the government schools in rural villages. He is already running two libraries and supporting 10 students. Anu is the Director of International Justice Mission (IJM), an anti- human trafficking NGO based in India. Since co-founding an events management company at the age of 16, Anu has become an accomplished intellectual property lawyer, and also a playwright, filmmaker, and social activist. Throughout her home country of India, she advocates for access to education and a political voice for women and children. Anu uses her legal and creative skills to tackle injustices throughout her country. She campaigns ardently on behalf of the Youths Student Party in Chennai, and assists the party in educating the public about the accountability of all political parties. Through her participation in over 25 street theatre productions which she wrote and directed, she has sought to raise public awareness about a range of issues close to her heart: the education and empowerment of women, domestic violence, child labour, and the importance of young people’s participation in India’s democratic system. Anu has also scripted over 200 short radio plays in regional languages, addressing themes such as peaceful co-existence, and exploring the question of how to live according to one’s value system and faith.